Rev. Dr. J. Carlton Allen passed away on Sunday, August 23, 2015 at the age of 71. Longtime community leader and San Antonio pastor preached the gospel of Jesus Christ over 55 years and for over 48 years, Allen has been pastor of New Mount Pleasant Baptist Church at 1639 Hays St.
Allen, 71, gave his first sermon as a 16-year-old before a reported 300 people at Greater Mount Calvary Baptist Church in Galveston. His late father pastored that church. After attending Bishop College in Dallas, Allen filled several leadership roles in the National Baptist Convention of America, Incorporated International and locally in the Baptist Ministers Union of San Antonio. He’s been chairman of the Martin Luther King Jr. Day Commission, been inducted into the Martin Luther King Jr. Board of Preachers at Morehouse College in Atlanta, and is in the Who’s Who In Black San Antonio. As we mourn the passing of our beloved Senior Pastor Doctor J. Carlton Allen, Sr., we thank God for his life and legacy. Thursday, August 27th from 4pm-8pm at the New Mount Pleasant Baptist Church, 1639 Hays Street, San Antonio, Texas 78202. The Celebration of Life Worship will be Friday, August 28th, 11:00am at the Antioch Missionary Baptist Church, 1001 N. Walters, San Antonio, Texas 78202, Doctor Kenneth R. Kemp, Pastor. Doctor F. D. Sampson, Sr. of the Friendship Baptist Church, Houston, Texas will bring the sermon. Please keep Dr. Allen’s family and Church family in your prayers. Doctor John Carlton Allen, Sr. 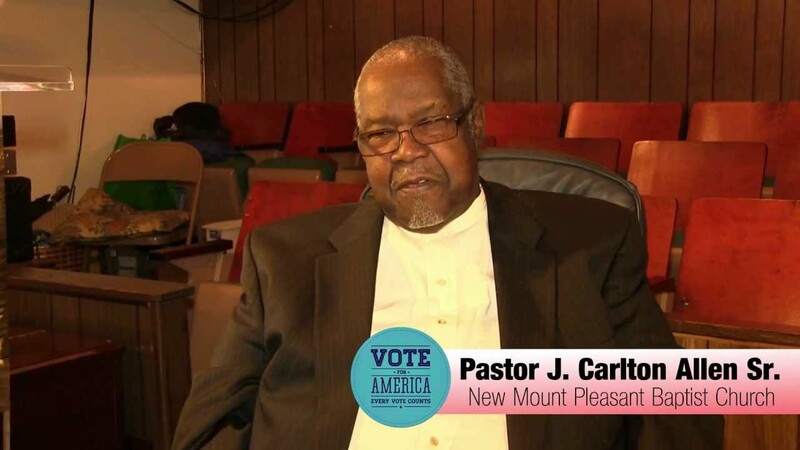 Doctor J. Carlton Allen, Sr, was born in Galveston, Texas to the parentage of the late Reverend Felder and Anjell Allen, and accepted the call to the ministry in August 1960, at Greater Mt. Calvary Baptist Church, in Galveston, Texas, Reverend F.A. Allen, Pastor. Doctor Allen enjoyed forty-eight years of Pastoral Leadership at the New Mount Pleasant Baptist Church, San Antonio, Texas and fifty-five years of a national preaching ministry. Doctor Allen was married to the late Alice Marie Geters Allen for forty-nine years who he loved and cherished. He leaves: Three sons, Reverend Renard Darnell, Sr. (Debra), John Carlton II (Yvella), and Reverend Joel Christopher (Jacqueline), four grandchildren Reverend Renard Darnell (Jasmine), Dominique Ulishas, John Carlton III and Jordan Chere, and three great-grand children, Kennedy Anjell Denise, Renard Darnell, III. and Sydney-Marie. A viewing will be held Thursday, August 27th from 4:00 p.m. to 8:00 p.m. at the New Mount Pleasant Baptist Church, 1639 Hays, San Antonio, Texas, 78202. The Celebration of Life will be held Friday, August 28th at 11:00 a.m., at Antioch Missionary Baptist Church, 1001 North Walters, San Antonio, Texas, 78202. Doctor Kenneth R. Kemp, Pastor. Servant of God WELL DONE!! !